Bed bugs bite us when we are in deep sleep, usually around 2:00 to 5:00AM. Most often they bite us on our torso, legs or arms. Very frequently, there will be a line of around 3 bite marks. The pictures from above are an indication of a very severe infestation. 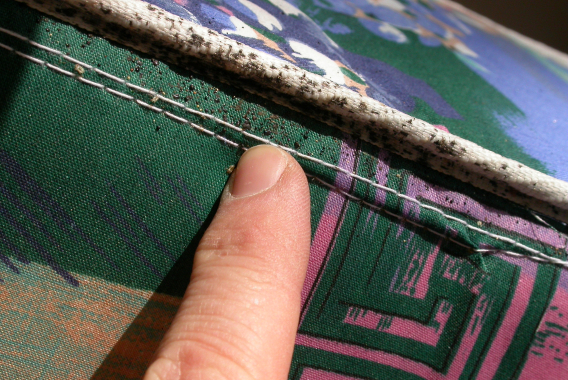 You might notice some blood marks on your sheets from your rolling onto bed bugs in your sleep while bed bugs are feeding.